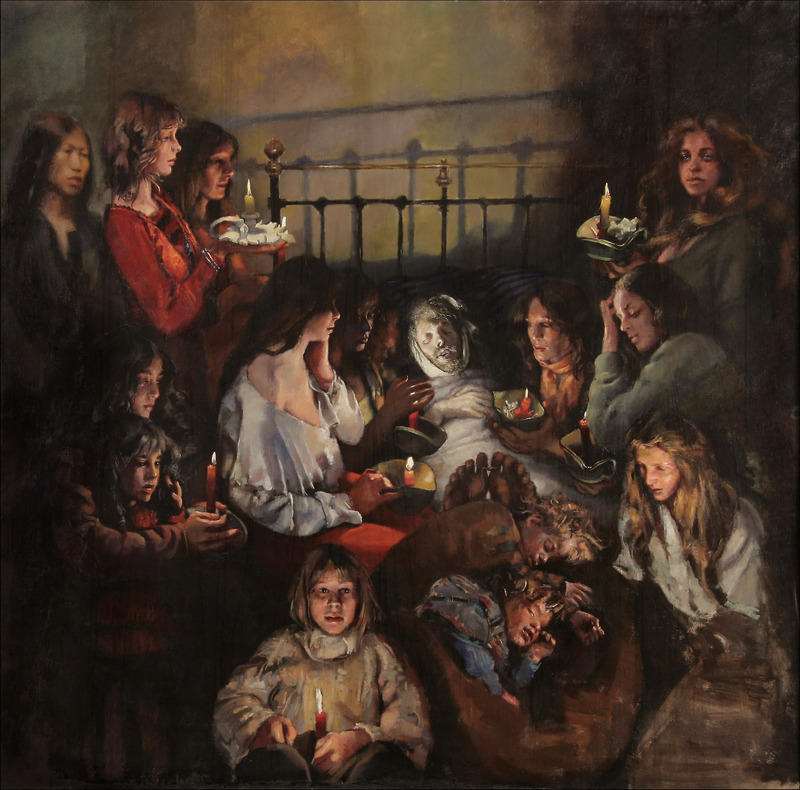 The Dead Painter Surrounded by his Children and Companions was described in the notes to the 1997 Retrospective as “a parody of the death of his own mother and a drawing by André Slom of Courbet on his deathbed”. An extensive book of notes and illustrations relating to its overarching theme – Et in Arcadia ego (I, Death, am in Arcadia also) – was also produced. ... Dead but lit at the ending by candles from my orbit. Each their own sun, awaiting their extinguished moment... child-philosophers stare in passionless silence at my passing. Note: Listed as No. 37 Self-Portrait Dead in the 1980 retrospective.